I was bullied for being gay as a kid and it still affects me as an adult. Sound familiar? 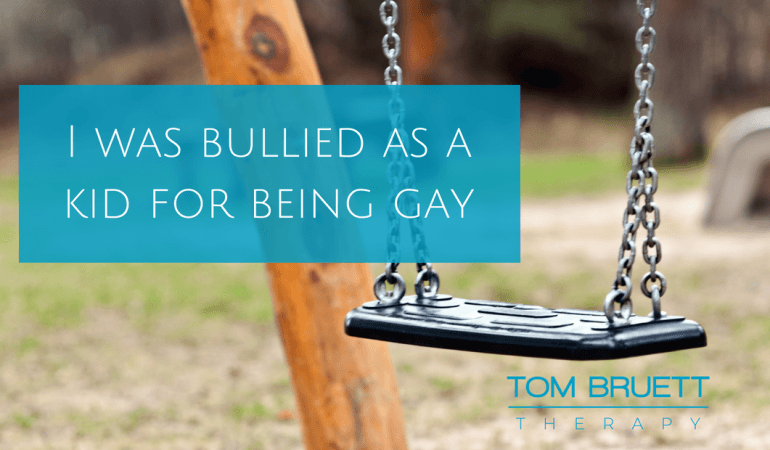 Many LGBTQ adults have similar stories about being bullied and tormented as a kid. As an LGBTQ youth there is a power difference that exists between you and all the other “straight” kids. When you’re part of a minority group as a child, you’re at risk of being bullied. Schools and institutions need policies in place to protect kids at risk. When you’re singled out for being different as a kid and then bullied for that difference, you learn how to hide. In order to keep yourself safe you must put up armor to protect yourself. It’s not always easy to let the armor down when you’re around safe people again. As LGBTQ youth we learn how to hide. We may not know we’re gay as kids, but we know difference. If we realize that we’re different sometimes we have to learn how to hide to prevent being a target. When we learn to hide parts of ourselves as kids, like our sexuality, it makes it easier to hide other parts of our personalities as well. As adults, just because we’re not being bullied anymore doesn’t mean that we automatically stop hiding. The remnants of this trauma can last long into our adult lives causing all sorts of problems. When you learn that it’s not safe to be yourself that creates all sorts of confusing internal messages. This can sow the seeds for internalized homophobia and self-hatred down the line. Instead of getting practice in being built up, we’re getting practice in how to tear ourselves apart. Did people stand up for you? If you were bullied as a kid, the way your parents, friends and the school system dealt with it can make all the difference. For example, say your parents let you handle the bullies on your own to build character and toughen you up. If you’re not able to handle it and the bullying continues, it’s more likely you’ll learn about loneliness, self-hatred and fear. And you’ll be less likely to ask for help in the future. There are a number of mental health impacts of bullying that can exist into adulthood. As kids, if we internalize that we are “bad” or “wrong” we can develop a strong inner critic. That critic can come with us into adult life and tell us things like “you’re not smart” or “you can’t do any better than that guy who treats you badly.” A strong inner critic can create all sorts of negative thought patterns that will be difficult and painful to unlearn. Think about it, if you were tormented as a kid for being different it will probably be a challenge for you to be yourself in social situations. It’ll be a wonder if you even like being with people at all! Then we feel that we’re not good in social situations and that creates a difficult negative feedback loop. If we end up isolated, hating ourselves and self-medicating with drugs and alcohol, it’s only a matter of time before depression creeps in. If we lose hope that things can get better or a life-stressor like a break-up happens, it can send us over the edge into a depression. This is no laughing matter and you should seek professional help if depression has crept in. It can be tempting to numb anxiety and depression with drugs and alcohol. Often seen as social lubrication, these substances can create habits that cause more pain in the long run. As tempting as it may be to turn to these substances for help, there are other ways to manage the stress and pain. As cliché as it sounds, if you don’t love yourself it will be hard for others to love you. And those who you do attract may not always have your best interests at heart. Being the victim of bullying can make it hard to trust other people, be vulnerable and want to connect. 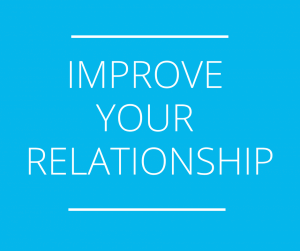 Without those skills it can be a challenge to create healthy relationships. The good news is that there are ways you can go about healing the trauma of being bullied as a child. Seek support, whether through a gay men’s group or individual therapy. There are tools and techniques like EMDR and CBT that can help you heal the trauma and have a more meaningful life. It won’t be easy, but there is hope. By facing the trauma and healing the wounds of your past you can create a better future.